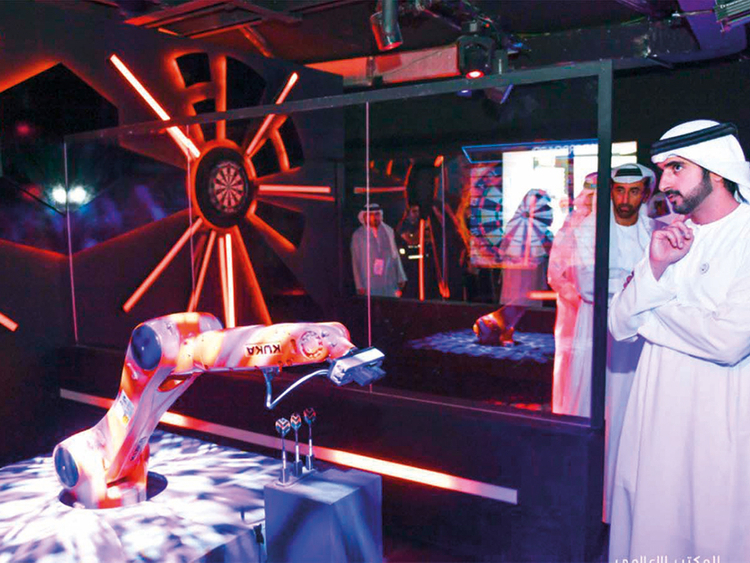 Dubai: While hacking scandals at Google and Facebook have been making daily headlines, the rise of 5G technology is going to force an even greater evolution in digital security, according to Trend Micro. “5G is the ultimate enabler of IoT (Internet of Things), and IoT is about every piece of technology, machinery, and device everywhere talking to each other, so you have this incredibly complicated web of communication happening all over,” said Dr Maotaz Ali, Trend Micro’s vice-president for the Middle East and North Africa. “It’s like a paradise for hackers. It’s a playground. It’s one of the most critical areas of protection that any security vendor needs to provide and cater to,” he said, speaking at the 38th Gitex Innovation Week, being held at the Dubai World Trade Centre. 5G, the next iteration of cellular mobile communication, boasts speeds far greater than the current technology (4G), but is just starting to become available. The network technology was recently launched in limited sections of the US. Here in the UAE, Expo 2020 announced in July it would become Etisalat’s first commercial customer for the super-fast network. 5G isn’t the only technology driving security technology, Ali said. “As technology becomes bio, [or technology] becomes more virtual, or becomes augmented, or any of the areas where it is developing,” security will need to evolve, he said. The need for greater security is also creating opportunities in the region for Trend Micro, who are currently expanding in the Gulf. The Japan-based company announced in January it would have three headquarters in the region: the GCC headquarters would be in Dubai; Cairo would anchor Trend Micro’s operations in North Africa and the Levant; and Riyadh will soon host its own campus, which will cater directly to the Saudi market. “One of the biggest reasons why, from a Trend Micro perspective, we’re focusing on the [region], is that the governments in these areas are putting up visions that from top to bottom revolve around digitalisation, and this is a very important area for Trend Micro to be [in] because security is the backbone of any digitalisation,” Ali said. He credited Saudi Arabia and the UAE with driving the innovation in the region, adding that the region is maturing with regards to the legal framework surrounding new technology. But the growth in technology is also bringing challenges, especially from hackers. Saudi Arabia and the UAE are two of the most targeted countries for cyberattacks. “There is saying in Arabic: if you feel the sticks coming from the back, that means you’re in the front,” Ali says. While most security solutions previously focused heavily on software, the new Trend Micro campus in Riyadh will include three classrooms to host academic programs that train — and potentially hire — local individuals who can help clients and customers. It will also include laboratories that Ali says will be industry-leading and “probably” include a cybersecurity incubator, where the company will try to “put the perspective of security from the beginning in everything that is happening in businesses”. He said education is a critical part of security, because software can only accomplish so much. Ali said Trend Micro started the year with only six employees in Saudi, but over the past eight months has expanded to 60, with more hiring expected. The company is also looking at what Ali calls an Arabic threat intelligence and support center, which will be able to support customers in Arabic.